Canadians can now rejoice as the long-awaited upgrade to Android Oreo for Samsung smartphones is en route. While we received confirmation from Fido earlier this week, Samsung Canada posted a note in its members app that the first device in Canada to run Android 8.0 will be the recently released Galaxy S9 and Galaxy S9+, then the S8 and S8+ will receive the update on March 19th, followed by the Note 8 on March 28th. “Users will be able to upgrade their Galaxy S8, Galaxy S8+ devices starting March 19, 2018, and Galaxy Note 8 devices starting March 28, 2018. Support for the Galaxy S7, Galaxy S7 Edge, Galaxy A5 and Tab S3 will be available in Spring/Summer 2018,” said Samsung Canada in the statement. 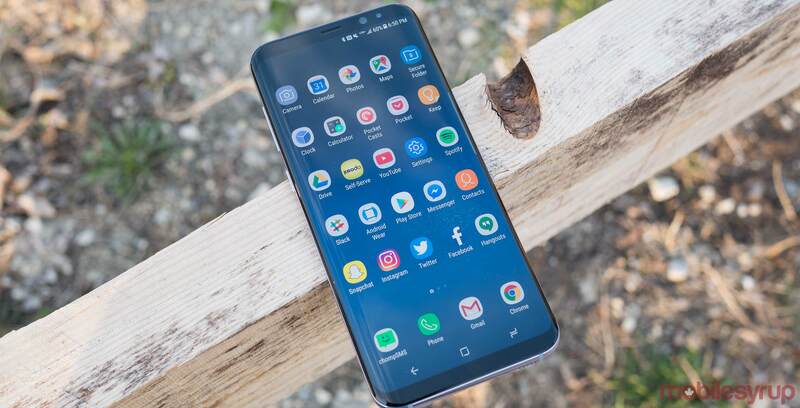 Update:16/03/2018: Rogers has confirmed the launch of Android Oreo for the Samsung Galaxy S8 on March 19th. Update – April 2nd: Looks like the update for the Note 8 is finally rolling out. We have received word that Bell users have been notified. In addition, Rogers and Fido have updated its OS update schedule and indicate Android Oreo will be available April 5th.